This year Andy has started bringing his film and photography work to local groups in Staffordshire in the form of illustrated talks combining narrated PowerPoint slide shows and film. The charge for an evening is £35 to £45, based on travel distance. However to make the talk more accessible to smaller local groups, organisers should contact Andy using the contact page on this website, to discuss a reduced rate for small groups with limited budgets. 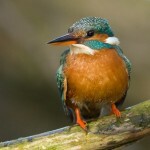 This talk documents Andy’s experiences of monitoring a breeding population of Kingfishers on the River Trent in Staffordshire over a period of 10 years. The talk features a PowerPoint presentation and one or two film screenings depending on the time available. 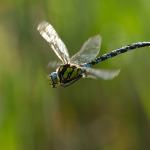 Andy and Helen have spent many hours studying these fascinating insects, a study that has culminated in the production of the award winning 15 minute documentary Dragonfly. This talk showcases the lifecycle of dragonflies through an illustrated talk with film clips and culminating in a screening of Dragonfly. 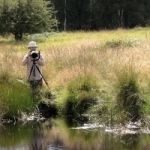 For those more interested in the process of wildlife film making and the range of subjects that we have filmed, this talk provides an overview of the work we have done, progressing from the production of short 90 second features on a range of wildlife subjects to our two 15 minute features, Dragonfly and Shugborough’s Kingfishers. Lovely to meet you both yesterday. Wonderful films. Keep up the great work.